Each time you take your focus off the road, you're putting your life and the lives of others at risk. According to the National Highway Traffic Safety Administration (NHTSA), traffic fatalities increased by six percent from 2015 to 2016. Distracted driving, speeding, alcohol impairment and unrestrained passengers were the main culprits. Whether it's going to work, running errands or taking a road trip, for many, driving is a common daily activity. However, your car weighs more than 4,000 pounds, and a collision with a vehicle that is equal or heavier in size could be disastrous. Maintain your vehicle. Get regular oil changes, and make sure your tires are properly inflated, you have plenty of gas and the lights work. Buckle up. 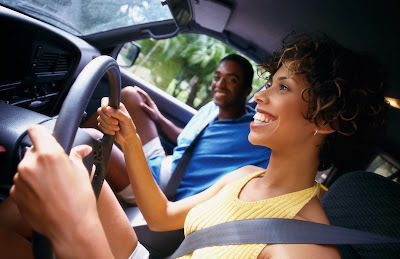 Wearing a seat belt is one of the most effective ways to save lives and reduce injuries after a crash. Use smart driving positions. Keep both hands on the steering wheel, and position them at 9 o'clock and 3 o'clock, or 10 o'clock and 2 o'clock, depending on the size and style of your steering wheel. Maintain speed limits. Obey all speed limits and watch for hazardous road conditions. Follow to the three-second rule. Leave three seconds of distance between your vehicle and the car in front of you. You need that space to react if something happens. Map out your route. Taking your eyes of the road to program your route or look at a map can be a major distraction. Before you hit the road, plug in your destination and look at an overview of the route. Keep your eyes on the road. Distracted driving is dangerous and the cause of frequent, costly and often deadly accidents. It is also illegal in Washington state. Impaired driving, speeding and drowsy driving are also very dangerous. Accidents happen. If one happens to you, take some of the guesswork out of a tense situation with the National Association of Insurance Commissioners' WreckCheck™. This free app for iPhone and Android smartphones outlines what to do immediately following an accident and walks you through a step-by-step process to an accident report. Don't have a smartphone? Download a printable accident checklist and other tips for staying calm, safe and smart on the road. Read more about auto insurance on our website. Questions? You can contact our consumer advocates online or call 1-800-562-6900.